A series of articles on new approaches to the Old Norse poem Völuspá and its possible context within the apocalyptic tradition in Northern Europe in the early medieval period. 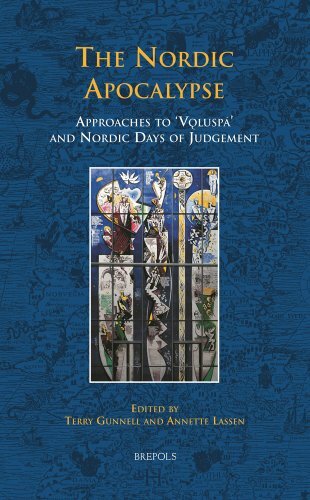 This book, with roots in a conference held in Iceland in May 2008, contains a series of articles reflecting modern approaches to the text, context, and performance of the Old Norse poem Völuspá, perhaps the best known and most discussed of all the Eddic poems. Rather than attempting to cover Eddic or Skaldic poetry as a genre, the main aim of this book is to present an overview of the 'state of the art' with regard to one particular Eddic poem. It focuses especially on the poem's possible context within the apocalyptic tradition of Northern Europe in the early medieval period. The approaches of the articles range from placing the poem within the pre-Christian oral tradition to placing it within the written and liturgical context of Christianity. Two other chapters offer a possible context for the poem by examining the nature and background of the early medieval image of the Apocalypse known to have been on display in the Cathedral of Hólar in northern Iceland. While the approaches are focused on one specific poem, they are nonetheless applicable to many other Eddic works.